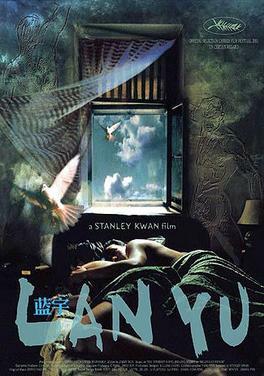 Originally a novel published anonymously on the internet in 1998, Beijin Story garnered so much popularity that it was later adapted into a film titled ‘Lanyu’. This story follows Han, a wealthy man with an enviable background, playing around with women and men. Upon his boredom, his friend and subordinate, Liu Qisang, introduces Han to Lanyu and that’s when a beautiful yet tragic (in my opinion) love story was born. I won’t spoil anymore because trust me, it is worth the 30 chapters. STOP your train of thought. Thirty chapters may sound daunting but honestly, you’ll finish this story within a few hours (if you’re a fast reader and if you’re a slow one, then it might take a while) because it is addicting. So what makes this fiction worth it? Han is just too confused and doesn’t see that he desperately needs to self-reflect. He has completely integrated into society from the very moment of his birth that he can’t break free from societal norms. The idea that he needs to marry and have a family are one of the practices expected from the heteronormative society and these notions have been deeply engraved into him as ‘his duty and purpose’. For me, Lanyu’s past prevented him from integrating into society but rather caused him to develop his own sense of purpose and what life should be lived for. The clashing between these two very differing sense of purpose and way of living becomes the foundation for this love story. The use of emotions such as jealousy, anger, and repentance serve a meaningful purpose in Beijing Story. The emotions don’t simply define the characters but rather helps in developing them and move the plot forward. Through this development, I feel that the emotions the characters feel in Beijing Story resonate with our own emotions as the reader who is taken through the course of their love that spans over four years. It allows the reader to feel the emotions of these characters and really see a piece of ourselves in both Han and Lanyu. There are some situations that start off cliché but take unexpected turns. As a reader, you will create expectations for these characters and the outcomes of their situations but you’ll end up surprised , or at least I was. It reflects the ever-changing nature of humans. We all change at some point and so do these characters, their actions, and reactions. The reader acknowledges the change in the characters but at the same time a sense of familiarity rushes over the reader when some of the characters’ actions mirror the actions from earlier chapters. The frustrations from Han’s childish logic and selfish actions coupled with Lanyu’s naivety and satisfaction with just being able to be in a tiny part of Han’s outrageous life preoccupied in complying with social norms and infidelity in this love story really tugs at your heart. An interesting point to note is that the narration of this story is from Han’s viewpoint and from this, we hear most of his inner thoughts and feelings. When reading this story, note that Han is the narrator which means that the reader doesn’t get Lanyu’s or anyone else’s views. The reader only has Han’s perception and interpretation of EVERYTHING including the interpretation of his own and of others’ emotions. For me, the big issue that the story attempts to address is what and who defines ‘normal’? Han says that he loves Lanyu but time and time again, becomes unfaithful to Lanyu using the excuse that he plays with women to prove to himself that he’s still heterosexual, “normal”. There is an element of realism in Beijin Story as it mirrors the psychological and emotional issues in facing social norms and the notion of normative behavior. There doesn’t seem to be a glorification nor denouncement of Han’s behavior but rather it strives to present the hypocrisy as is. So then who is at fault for this hypocrisy? Is it Han or is it the society he is entrapped that had defined ‘normal’ and forced people to fit into these molds? What is the outcome of normative notions? The tragic love between Han and Lanyu. In the end, the excerpt I opened this post with had claimed to present a beautiful love story and it had, for me. Regardless of your sexual orientation, I believe that the emotions, the characters and their circumstances are the real gems of this fictional story. In the case that I have convinced or sparked your interest in Beijin Story, you can read here. Be warned, the story has adult content with the use of explicit language to depict explicit scenes; however, if you’re old enough and are interested in this story, read it and let me know your thoughts on the story!